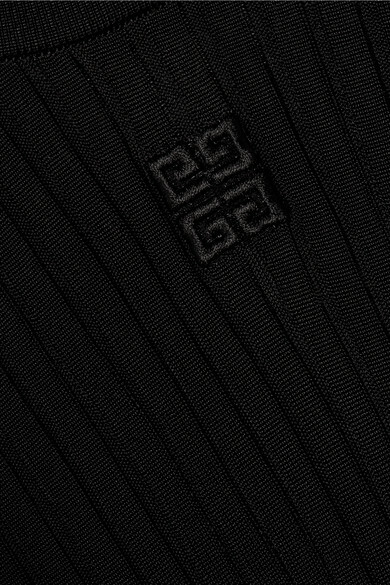 Givenchy's turtleneck top is subtly embroidered with the brand's iconic '4G' emblem - before Creative Director Clare Waight Keller took the reins, the motif was exclusively spotted on beauty packaging. 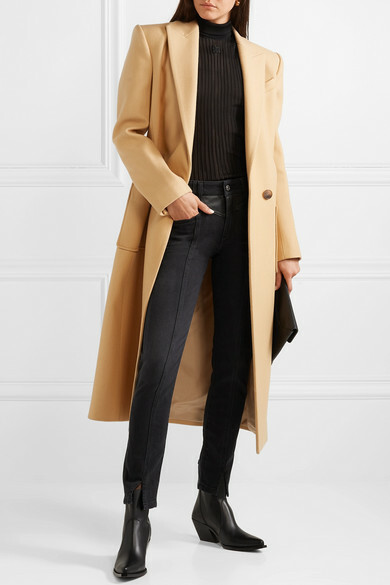 This slim-fitting style is made from black ribbed-knit that can be layered to peek out of sweaters or underpinned with a tonal bralette to temper the sheer finish. Wear it with everything from a pair of the label's jeans to floaty skirts. Shown here with: Givenchy Coat, Givenchy Clutch, Givenchy Ankle boots.